Fashion and performance means you can take these from the office to the mountaintop. 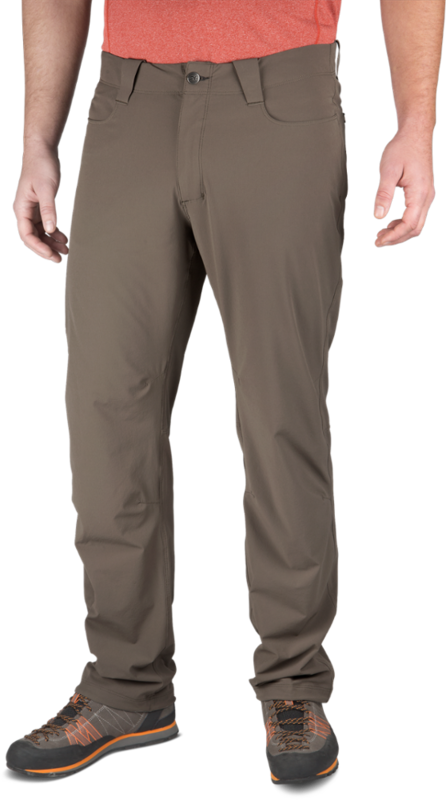 Water and stain resistant with 4-way stretch fabric, these pants are good looking and tough as nails. Only even sized waist available. Once and a while a product comes along that you never thought about, but when you see it, you say what took so long. The Thunderbolt Sportswear original Mark-II jeans fill the bill and then some. 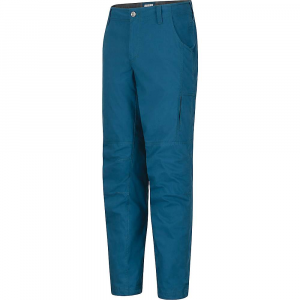 Constructed of softshell fabric from the Swiss company Schoeller, these jeans are amazingly multi-functional. 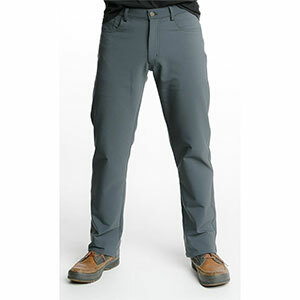 The double woven fabric comprised of nylon, polyester, and spandex provide a 4-way stretch jean that is tough as nails. 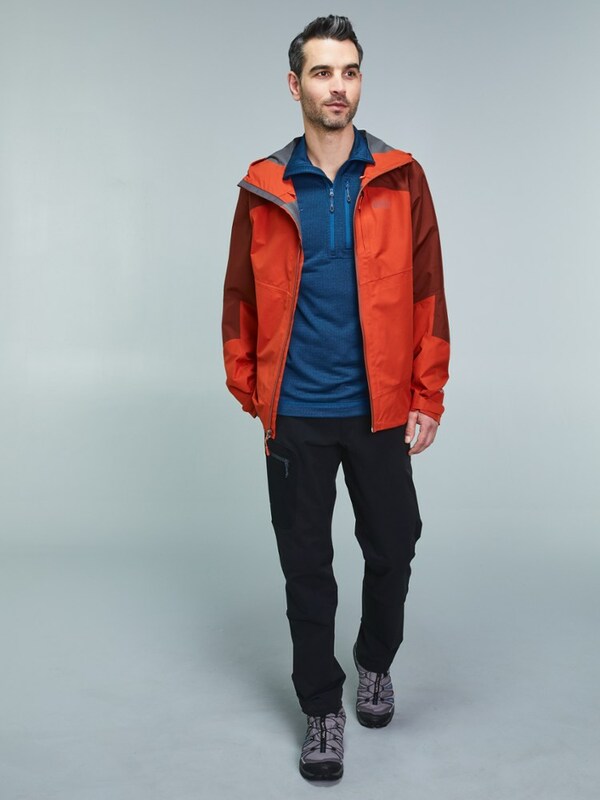 Schroller coats the softshell fabric with their Nanosphere technology. These leave the fabric covered in three-dimensional particles that make water, dirt, and grease just roll off the surface. Styling is a classic 5 pocket straight legged jean. 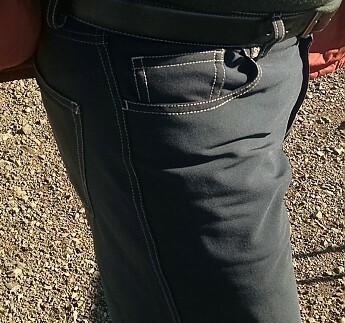 They feature a hidden security zipper in the right rear pocket. Available in even waist sizes only, the Mark II jeans are available in 30 and 32-inch inseam, as well as unhemmed for longer lengths. I received a pair of the Mark II jeans in late fall and started testing them immediately. My pair came in a dark brown color with contrasting lighter colored stitching. As the jeans only come in even sized waist sizes I had to go up to a 34-inch waist. The jeans fit really well even with the extra inch in the waist, though I did need a belt. 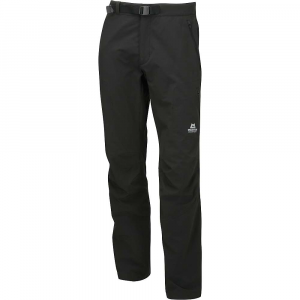 The softshell material feels really good on my legs, certainly much softer than an ordinary pair cotton or canvas jeans. Movement of any kind is super easy. The jeans just have so much stretch. Hiking, rock climbing, biking, these pants allow me to do any activity and still be well dressed enough to go to a nice restaurant without changing clothes. As breathable as the jeans are, they still were warm enough for me to take on a hike at 32 degrees yesterday without feeling cold. Bashing through the underbrush to get to a narrow creek crossing they brushed off sticks and prickers like they weren't even there. 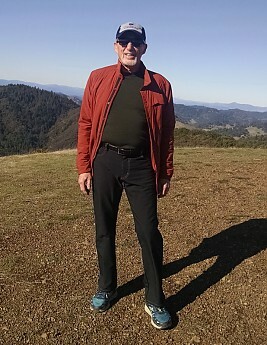 After three hours of hiking all over the hills of a local northern California State Park, a quick brush off was all that was needed to remove splattered mud from the pant legs. While these pants are not considered waterproof, during some recent rainy weather when I was wearing them just out and about, rain just beaded up and ran off the pants like a well-waxed car. I imagine hiking all day in the pouring rain might lead to a different outcome, we will see. I'm quite interested in taking the jeans on a backpacking trip to see how they feel over several days on the trail. More testing to come in the spring. Thunderbolt Sportswear manufacturers all their clothing in Portland, Oregon, and they come with a 90-day no-hassle guarantee. I'll have to get a pair of those. Any trouble getting the right fit with the even sizes? The Thunderbolt Sportswear Mark II Original Jean is not available from the stores we monitor.